The official Elite Dangerous novel and sequel to Reclamation. Published by Frontier Developments and written by Drew Wagar. The legacy of a centuries-old mystery. Disturbing encounters with unknown ships. Three great superpowers manoeuvre against each other. But are their destinies their own, or are they merely the puppets of some greater power? Since the loss of the Prism system in 3300, Lady Kahina Tijani Loren has operated on the fringes of Imperial society. Led by clues from a woman once thought dead, she is drawn into a conspiracy at the heart of humanity. To uncover the truth she must contend with dangerous enemies, navigate murky political waters, and – with the help of her friends – uncover the secret of the Formidine Rift. 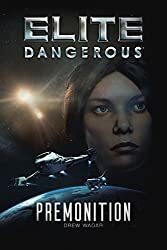 Premonition is the new story set in the Elite Dangerous universe, shaped by player actions in the Elite: Dangerous game. This book is relentless. Discipline yourself. Stop at the end of the chapter. Put it down. Breathe. Remember you have responsibilities in the morning. Don’t let the action sweep you away, or you will find yourself staring bleary eyed at the clock, trying to justify reading just a few more minutes with the sun threatening to come up in too few hours for a decent night’s rest. If you think I’m being hyperbolic, don’t say I didn’t warn you when it happens to you. 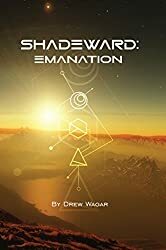 “I was lucky enough to be brought on to do a final line edit, and Drew managed to make a book that not only felt like it lived within the game, but within the ED community as well. I saw story events I’d only heard snippets of detail about through GalNet revisited, but in a fresh context that changed (or confirmed) various suspicions, and I saw milestone moments that players experienced uncovering the mysteries of the game brought to life and made part of the story universe. Read the announcement by Frontier Developments. Read Drew’s own blog article about the upcoming book. When will the kindle version be available? You can download a mobi version from the FDev store and upload it manually, the Amazon version will be available in due course. thanks for yor work and your books. Is it planned to upload this book to Google Play Store? If yes, when? Yes. I will try to get some dates for the other channels. Hi Drew, are you working on an audiobook of Premonition? Reclamation was a great tie-in to Elite Dangerous and excellent addition to the Elite universe. FDev are considering it at present. I’d recommend bringing back the narrator from Reclamation if it is possible, he’s a truly great narrator. Thumbs up for a Yey vote. Hey Drew, Masterfully written, enjoyed it from beginning to the end. 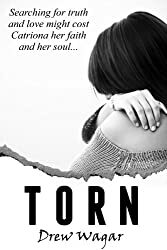 The emotion conveyed in those last chapters stirred up all the good and bad memories from the event of the 29th April. Hi Drew! I haven’t read any of your previous word, however, I have read countless comments on all sorts of social media, fdev emails and forum posts exclaiming how wonderful your writing is and I’d love to get in down and dirty with your latest in the Elite Dangerous lore. The only thing is, I can’t stand e-books or even kindles and all that. I’m surrounded by so much technology, but there’s just something special about words on a physical page that I just can’t get from reading 1s and 0s off a backlit screen. 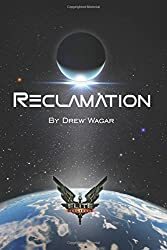 Hi Drew, I just finished reading (audible) Reclamation and it was amazing! cant wait for this book to appear in Audible format and Kindle as well! Hey Drew. I’m from China and I can’t make payment on Frontier Store because I don’t have Mastercard or Visa. Premonition is not available on Amazon.cn either, not like Reclamation(I bought one Paperback on Amazon.cn 5 months ago and I’m still waiting, but don’t worry, I got ebook too and have finished it long ago). So can you please tell me if I can get Premonition through other ways? Your books make the world of ED more real and fatastic. I’m eager to read about the new stories and many thanks to you if you can help. 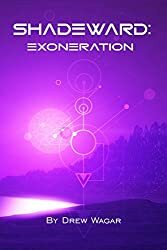 Hey Drew, any update on a potential Audiobook for Premonition?